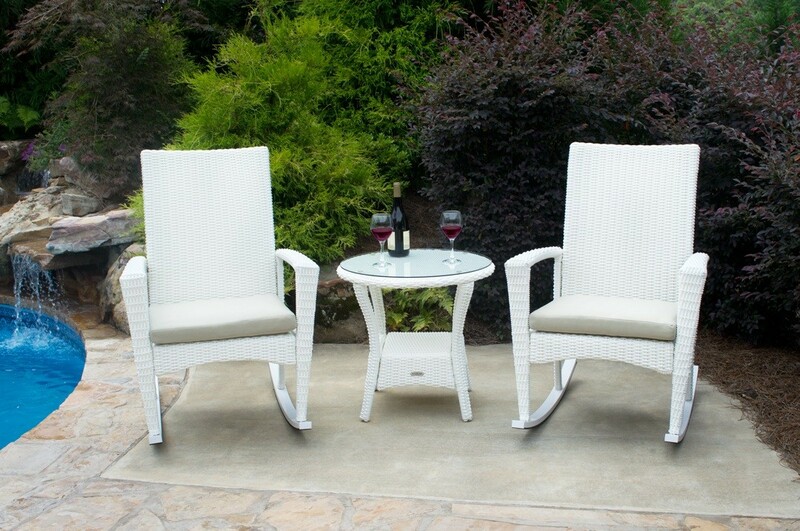 The Bayview Outdoor Rocking Chair Set has everything you need to create a back yard haven. 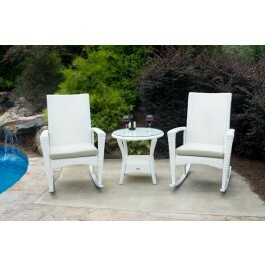 This set includes two Bayview Rocking Chairs and a side table. 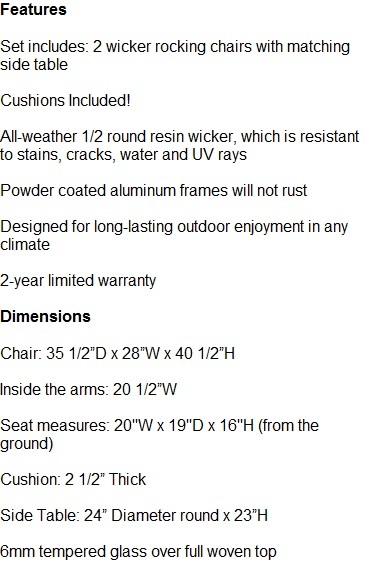 Each rocking chair comes with its very own cushion so that you don't have to purchase them separately. 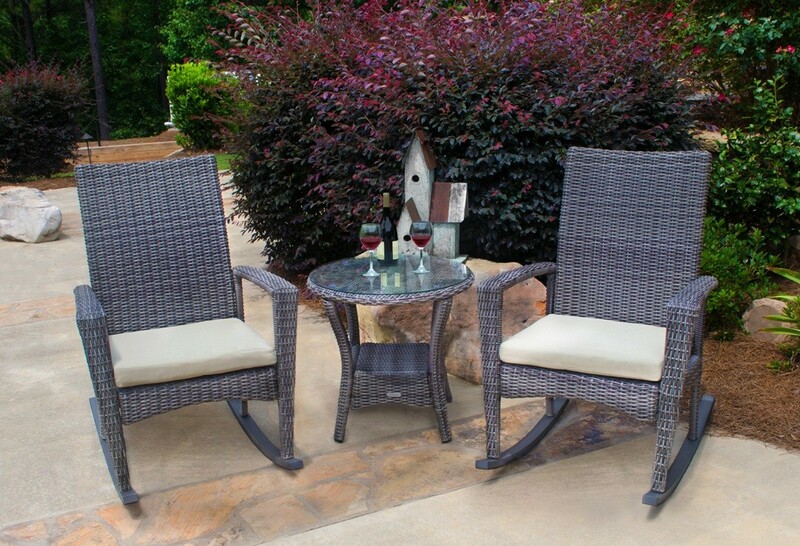 The end result is a comfortable, mellow space where you and a loved one can kick back and relax. 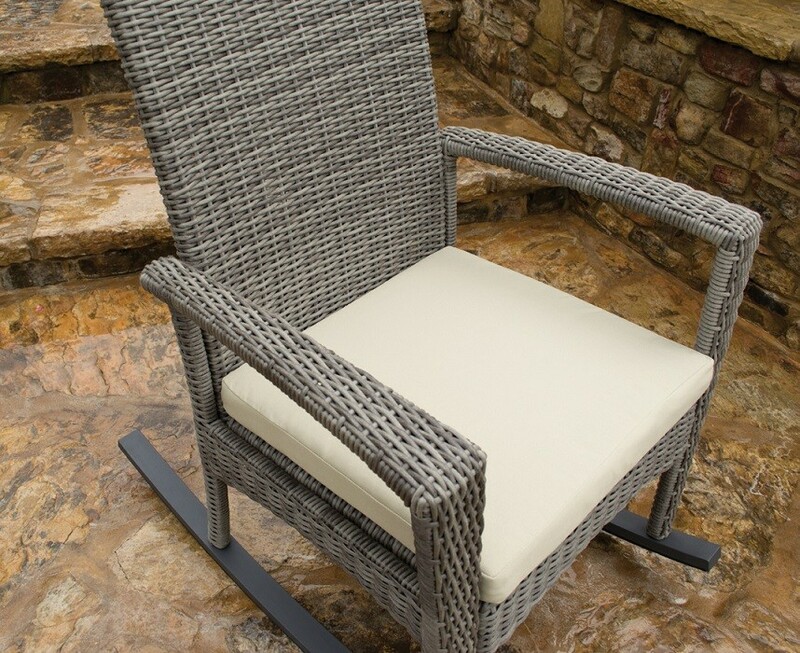 The set is made out of all-weather resin synthetic wicker. 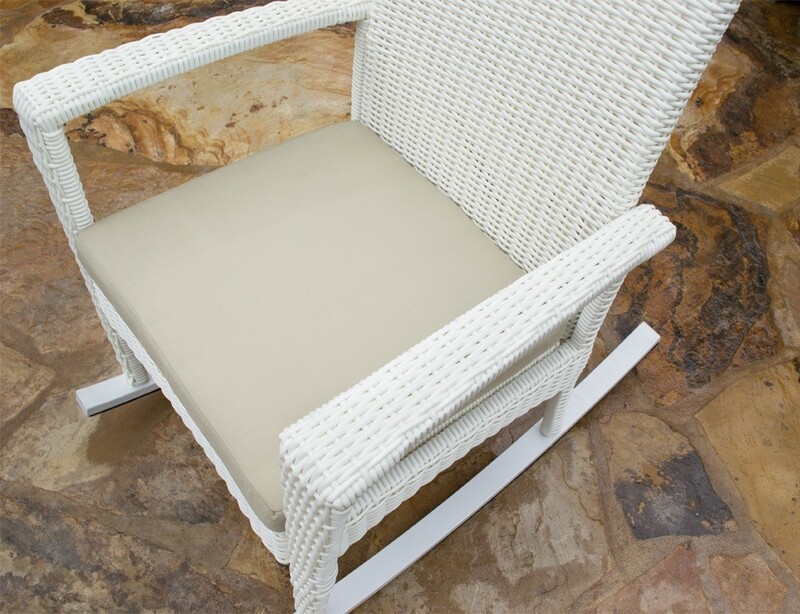 This means that you can count on it to last for years, even if you live in the toughest, wettest climates. 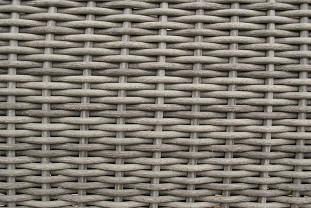 That's because unlike natural wicker, synthetic wicker is tough, able to avoid warping, splitting, staining, or fading. 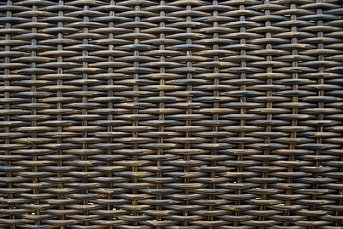 This is premium 1/2 round synthetic wicker, too, which makes it even tougher. 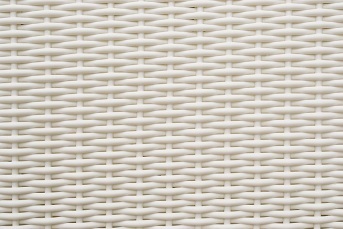 The wicker is woven over powder coated aluminum frames which makes the set capable of taking a lot of punishment. 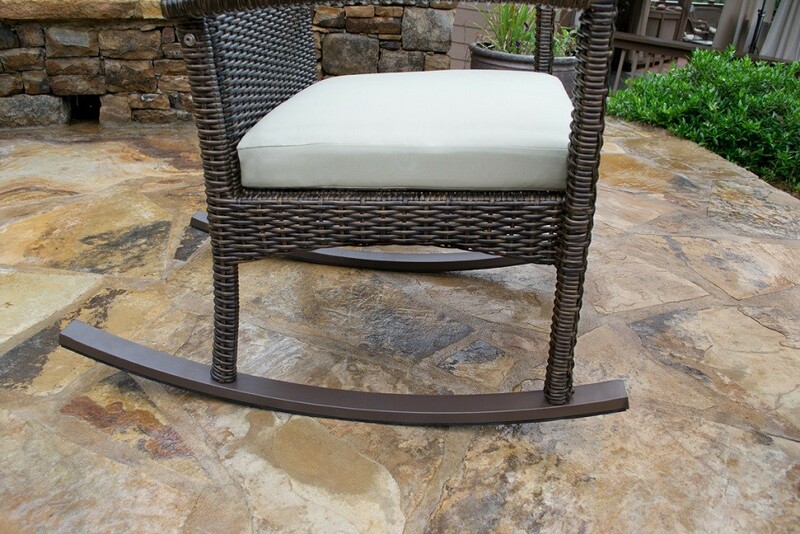 The bar table is covered with a clear tempered glass table surface which resists breaks. 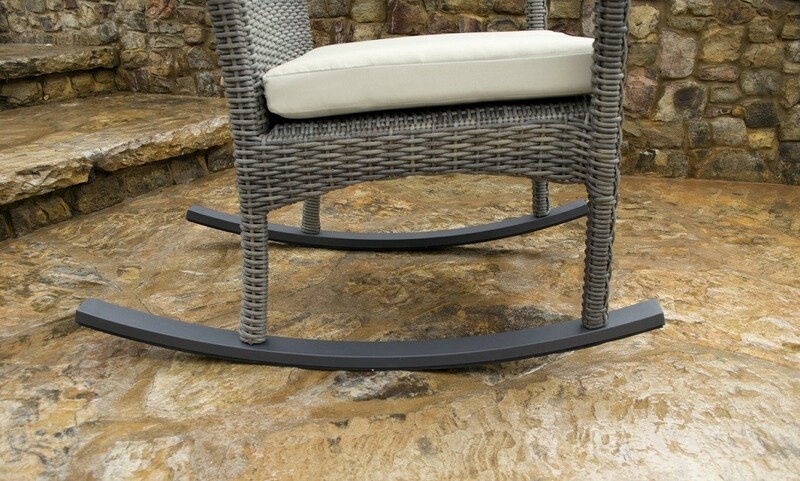 The table is more than large enough to hold quite a few items, which makes this an ideal set to help you entertain guests. Are you ready? 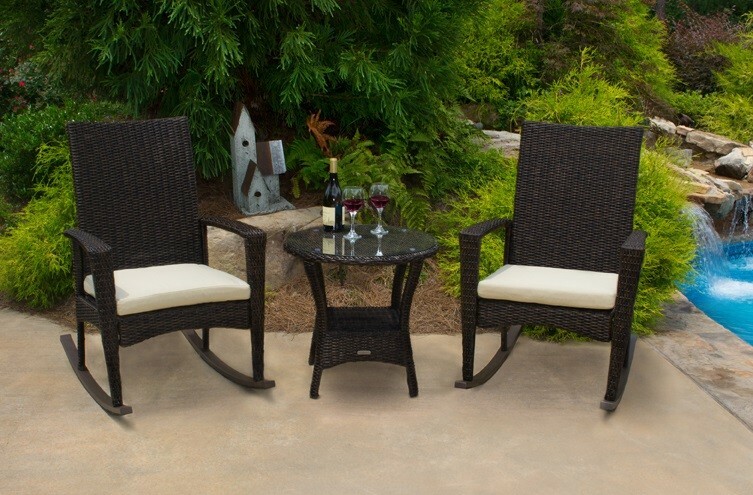 Create your relaxation space by ordering the Bayview Outdoor Rocking Chair set today.